Essentially, water birth involved sitting in a warm tub during at least a portion of the labor process; in some cases, it is possible to actually give birth in the water. Water birth has been shown to be very effective at reducing pain. Some studies say that water birth is second to only the epidural in pain relief. Mothers who have given birth in the water swear by the reduction in pain. 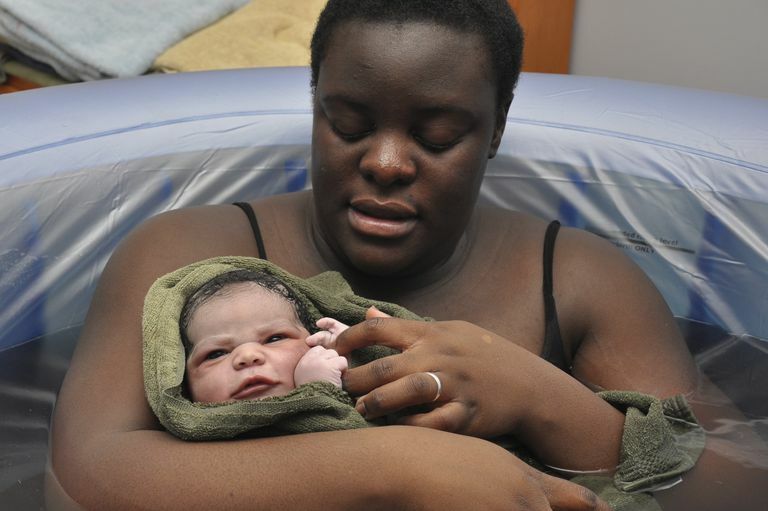 Because of the ability to relax and to have a gentle second stage, pushing, most mothers who have a water birth have fewer tears and require fewer stitches than their counterparts who give birth outside of a tub. Water has long been known for its relaxing properties. After all, don't we often suggest a warm bath when someone says they are stressed? Calgon, anyone? Seriously, the warm water does the same thing in labor and childbirth, though often with a more dramatic effect. Relaxation is a great thing in childbirth. When in water mom finds it easier to move because of the water. Her larger form is less encumbered. This movement can help speed labor or make for more effective contractions in some women. She is able to move her legs, squat, circle her hips -- all of which can help her feel less pain and help her baby move down in the pelvis. If you are at risk of needing a C-section, however, being in a water bath can slow the time it takes to get you to surgery. If you are looking to avoid an epidural, water birth is something that has been shown to decrease the need for pain medications. What Does It Mean to Have a Full-Term Pregnancy? Can You Be Genetically Inclined to Have a Miscarriage?